Goldcar’s Click’n’Go service is the fastest way to pick up your hire car. All it takes is a single tap on your mobile phone. You don’t need keys. 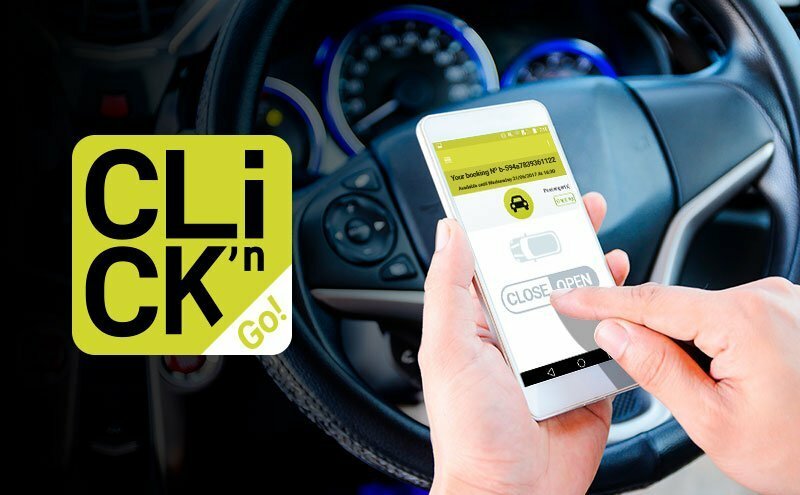 Our Click’n’Go service shows you the exact parking space where your vehicle is located so all you have to do is go there and use your virtual key to unlock it. NOTE: Users of this service must have a smartphone, an internet connection, and Bluetooth enabled. Your operating system must be at least iOS 9.0 or Android 5.0. Now you can enjoy this innovative service from offices such as Alicante, Barcelona, Malaga, Madrid, Palma de Mallorca, Rome Fuimucino or Toulouse. Find your vehicle in the car park by following the directions of the Click'n Go app and stand next to it to open it.